You might mistake Appalachian for Southern. If you are not Southern. If you are not Appalachian. An argument for homesteads on the edge: I’ve touched the Pacific Ocean with my toes. Some of my blood glitters from the bottom of the Other Ocean. An argument for the middle: family. Air force brats fold their white socks a certain way. Traces. When he was a teenager, my dad was bussed from his school to make sure some amount of a Cincinnati school became integrated. It was a better school. He became good at math. We resist equations, but we cannot just be anything. He never lived in Atlanta, but some of it had to have run off into him. But what about the fields? What about me? There’s a way about the part of Kentucky we ended up. Northern Kentucky made news recently when James Alex Fields, Jr. drove his car into a crowd at Charlottesville. He killed a woman almost exactly my age. James: from there as I am from there. Though of course we are a thousand bodies of water apart. When I was sixteen, I was assigned a group project with a boy in my class I had heard hated black folks. He is dead now, killed while playing with a gun around the time I left Kentucky for Chicago. I remember we seemed exactly alike. We had the same sense of humor. We joked a lot—enough for me to break the ice: is it true? Yes, he said. That same year, white supremacist fliers were distributed during the night. I heard about it at school. I’d never been hunting, but I’d bought a small hunting knife from a flea market. I kept it in my backpack. Before 9/11, whether or not I was Middle Eastern, Muslim, was less pressing. In Kentucky, when kids got bored, some of them went hunting. Every student of color of my high school could fit in one entry of an obituary. Our high school mascot was a Confederate colonel. My school was named Dixie Heights. I never felt unsafe. I kept the knife in case I ever did. Northern Kentucky is at the crossroads of the Midwest, the South, and Appalachia. You rarely saw them hung, but any flea market was verdant with the Confederacy. Where I lived, you could walk a few blocks to the bridge that crossed the Ohio River and walk into Cincinnati. We were the last stop on the Underground Railroad. Inside the Freedom Center, a museum in Cincinnati dedicated to the Underground Railroad, are two wall-sized quilts by Aminah Brenda Lynn. They are different than traditional Appalachian quilts. None of them is geometric or patterned, or wholly fabric. Their patches are irregular, painted, overlapping. The edges of the quilt don’t line up. They are equally complicated, but different. Living in the quilt are the figures of black people. A decade and a half after I was born, I revisit Biloxi. Everything in my parents’ neighborhood, my neighborhood, is broken, the swampy green beneath like crabmeat. You always dreamed of your mother eating gumbo. Your parents said the neighbors made it and everyone shared. Ordering Indian in Chicago, I choose Bhindi Masala. They warn “Are you sure? It’s very spicy.” I say, like I dream they say it in Biloxi, I can take it. You can find shells in the fields. Fossils of them, anyhow. All of this used to sleep under the sea. You found an urchin once, in California. It was dark and brittle, like a pinecone gone wrong. You kept it in the yard until it disintegrated. Not into the water, but the ground. Evolution is a strange thing. There were hermit crabs in class, which grew out of their shells and moved on to others. There are shells that twirl into themselves smaller and smaller until you cannot see the twirl. Nobody understands meter. Poets say they do. One of the complications in the complicated science of breaking down the humanity of poetry is the idea of relative stress. The idea goes that the emphasis we put on a syllable, or a word, is never independently strong or weak, but depends upon its neighbors. Maybe it is impossible to hear “All men hate” as three stressed syllables. You hear power, and stress, first in the word “all”—ALL men hate. Hate as a universal emotion. Or you hear it strongest in “men”—MEN do the hating. You hear a word most strongly, and whatever word precedes or follows it cannot be stronger without weakening it, cannot be weaker without strengthening it. Whatever the case, no two can ever be equal. About stories: You are a horse, like the ones in the fields not far from where you used to live in Kentucky. Now, because this is a story, a stream runs through you. A stream is like that. 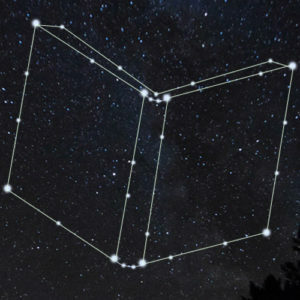 How not to see, in the force of a stream, a binary: either the horse will struggle to make it out of the river, or the horse will not move. He will be swept away, silent and still, until watching, all you see is the river. Relative to the river, there can only be a horse in struggle, or one content to die. Before the river, the horse knew infinity. When the dominant narrative speaks over you, it would seem that you have drowned. Or, your life would seem to become one of opposition. Blackness knows this. Appalachia, and women, and the impoverished know it. D. W. Griffith, producer of Birth of a Nation (and a Kentuckian), has a statue dedicated to him at Northern Kentucky University, where I studied Appalachian culture for a time. Birth of a Nation famously revived the Ku Klux Klan. I find myself sometimes trying to identify with others. Isn’t this human? Seven thousand smaller streams branch from the Mississippi. A small one might swallow you. A larger one might swallow it. To ignore the water is deadly. Oppose it. Revel in it, or be still; speak the river’s language. Be swept away. The Ku Klux Klan was founded in Pulaski, Tennessee. Opposition. You laid under a homemade patchwork quilt for years, until it wore through, swept away. The head of the English Department is Appalachian. He introduces you to Gurney Norman’s Divine Right’s Trip. He invites you to his home, his garden. Your grades are bad, but he fights for you. In his office, you switch majors, to poetry. You are perhaps one of the only students that gets a personal phone call. You write a poem for his funeral. It is about connection, and fields, and Appalachia. Swept away. 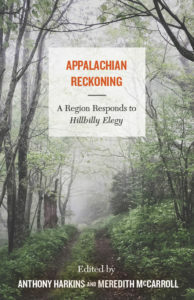 Reproduced by permission from West Virginia University Press, Appalachian Reckoning: A Region Responds to Hillbilly Elegy, 2019. Keith S. Wilson’s first book Fieldnotes on Ordinary Love will be published by Copper Canyon in the spring. 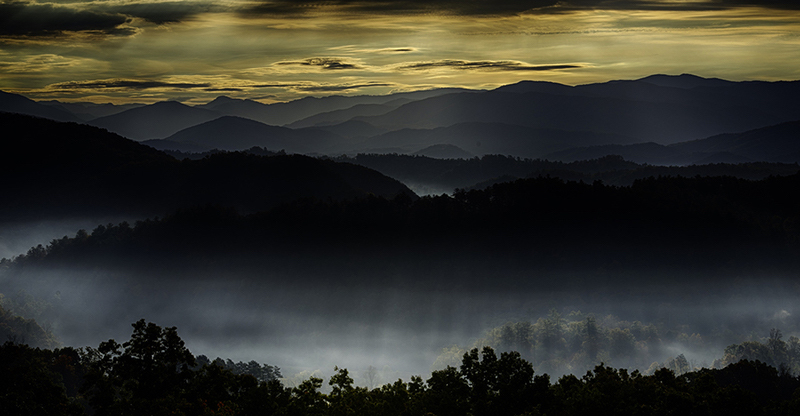 He is also a contributor to Appalachian Reckoning: A Region Responds to Hillbilly Elegy (West Virginia University Press), in which this poem appears.